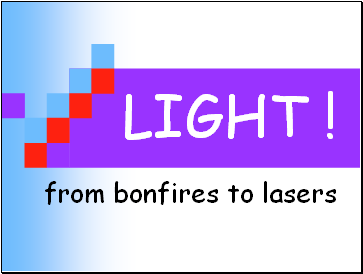 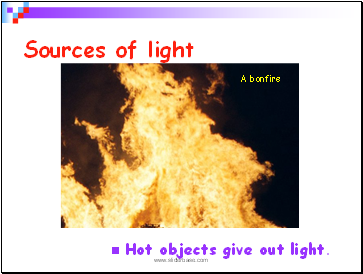 Hot objects give out light. 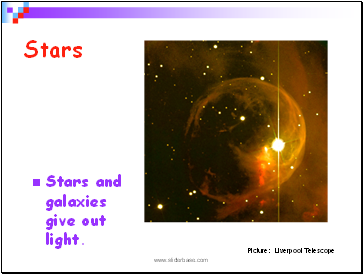 Stars and galaxies give out light. 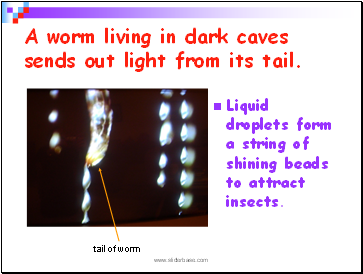 A worm living in dark caves sends out light from its tail. 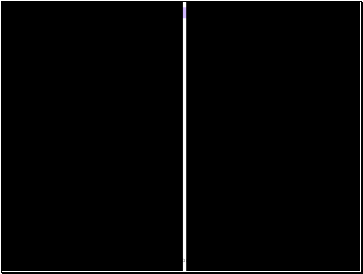 Liquid droplets form a string of shining beads to attract insects. 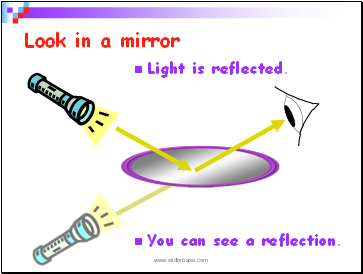 How do we see light sources? 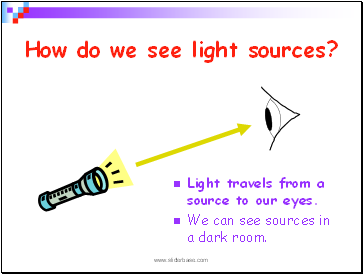 Light travels from a source to our eyes. 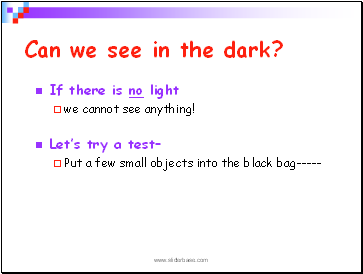 We can see sources in a dark room. 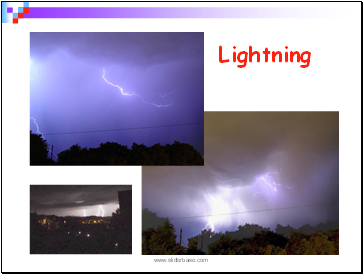 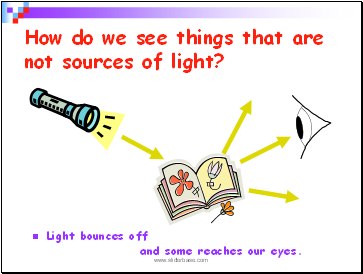 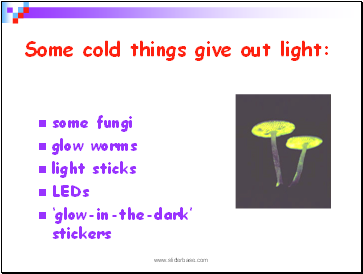 How do we see things that are not sources of light? 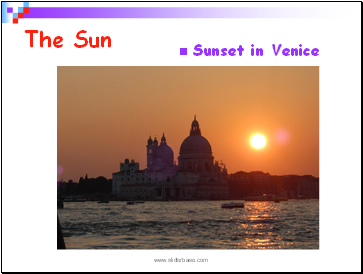 and some reaches our eyes. 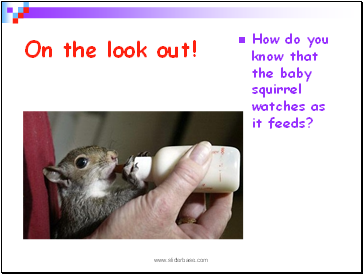 How do you know that the baby squirrel watches as it feeds? 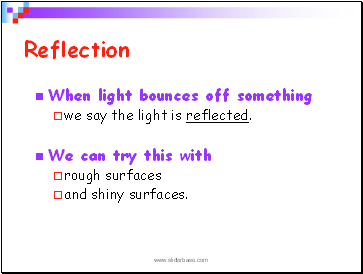 we say the light is reflected. 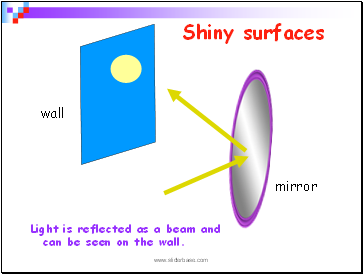 Light is reflected as a beam and can be seen on the wall. 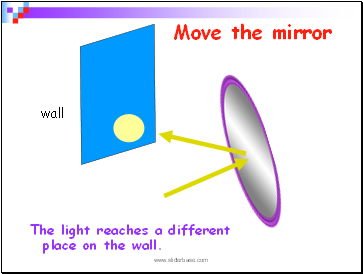 The light reaches a different place on the wall.